Holy smokes do we have a new product payload for you. Christmas time is around the corner, so we thought we should add some products that might make your shopping a little easier this year. Over the last month, we partnered up with Taxor, a manufacturer of men’s watches, women’s watches, and automotive clocks. But what makes these time pieces are extra special because they feature the logo of your mistress de la garage. GM Watches for Men – Because you want the world to know that you drive a Corvette. Honda Watches for Men – So you can keep your Honda boxers to yourself. Nissan Watches for Men – So you can time your car going from 0 to 60 in about 9 seconds flat. Dodge Watches for Men – Because strapping a Dodge Hot Wheels on your wrist is unacceptable. Ford Watches for Men – Tired of holding your Ford key out in hopes someone asks what you drive? Wear a Ford watch instead. Dodge Watches for Women – Unless your special talent is telling time by the location of the sun, you need this watch. Ford Watches for Women – Because no outfit is complete without at least one Ford accessory on your wrist. GM Watches for Women – To tactfully remind others what kind of fancy car you drive. Honda Watches for Women – It’s about more than just punctuality–it’s about having mad style. Ford Clocks – Hickory Dickory Dock, tell time with this Ford Clock. C’mon. You knew we had to use it. GM Clocks – Better than running out to your car to check the time–now you can tell time the GM way on your wall or desk. Honda Clocks – Don’t spend your money on a box. Don’t spend it on a fox. Don’t spend it on a sock. Spend it on a Honda Clock. Jeep Clocks – Jeeps beep and clocks tock. Now, Taxor brings you Jeep Clocks–sorry they don’t beep. AVS Seamless Ventvisor – Seamless stockings, seamless rain gutters, seamless plots and now—Seamless Ventvisors. Get’em today, they’re Ultra Low-Pro for a look that’s slicker than your grandpa’s comb over. 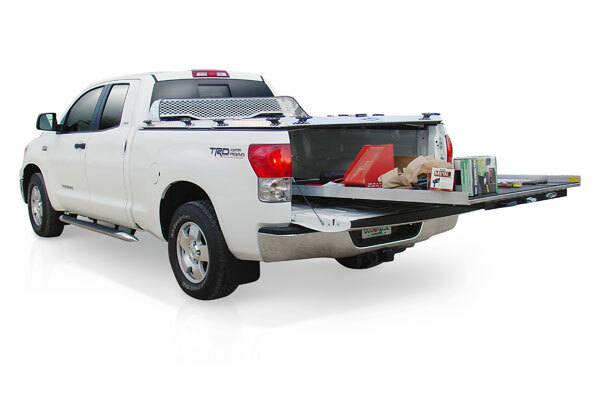 Tailgate Cargo Box – No, it’s not a miniature Doug Henning prop; however, the Tailgate Cargo Box does carry all your gear and then magically transform from a cargo carrier into 2 chairs and a table. Works great for camping too! Hypertech Max Energy Sport – You may have heard about this, you may have even seen spy photos of it, but the day has almost come; Hypertech is entering the world of sport-compacts! We should have these puppies in stock soon, check back if you want to give your import some extra juice! AutoAnything Weekly Product Review: New Gas Saving Chips! After a couple of late nights and countless pots of coffee, we’ve secured four new gas saving chips and power programmers that’ll plaster a smile on your face like a bug hitting a windshield. First up is the SuperChips Mileage XS Fuel Economy Programmer: This bad boy tunes your vehicle for optimum fuel economy while giving you a modest boost in power. It’ll even tune certain vehicles to run on lower-octane fuels to save you extra money at the pumps. Extra features include speedometer calibration for larger tires, it clears engine codes and it can be upgraded to a Superchips Flashpaq by updating the firmware. Superchips Mileage XS Programmers are backed by a 1-year warranty. Then we got the Bully Dog E3 Diesel Downloader and the Bully Dog E3 Gas Downloader: These guys offer 1 engine tune to simplify user experience and improve fuel economy. Modest power gains of 50hp and 100 ft-lbs of torque can be expected, along with up to 5 more miles per gallon! These Bully Dog tuners will also clear trouble codes, perform DPF Burn-off/ Mobile Desoot (GM Duramax LMM and Dodge 6.7L Cummins only) and recalibrate speedometers for larger tires, while on-the-fly tuning gives you the freedom to toggle between stock and tuned settings. Bully Dog E3 Downloaders are backed by a 1-year warranty. Last up is the Jet V-Force Plus Power Control Module: This is one gnarly hand held tuner. You can improve horsepower, torque, throttle response and fuel economy with just the touch of a button. Once you’ve gotten your ride setup, there are 14 different monitoring screens so you can keep your eyes on anything from fuel economy to the manifold pressure to the air/fuel ratio (O2 sensor sold seperately). The Jet V-Force Plus PCM is backed by a lifetime warranty. We know that you’re feeling the pinch from fuel prices. Even if you drive a hybrid, there’s no escaping the high cost of fuel… that is, unless you are driving a 376 mile per gallon Opel. So we here at AutoAnything have been working on finding some fuel saving products that really work. You might have heard or even had experience with fuel additives before, and the truth is, 99% of them don’t do squat. That’s why we searched for gas saving products that will deliver results and save you money. While there isn’t a single product out there that is the magic solution to your fuel comsumption problems, there are lots of products that will incrementally improve your fuel economy, especially when used together. Interestingly enough, most of the products are “performance” related; high flow air filters, cold air intakes, exhaust systems, gas saving chips, and truck bed tonneau covers can improve fuel economy by as little as 1/2 mile per gallon, up to 2-1/2 MPG, depending on your vehicle and driving style. The problem is that most of these items can be expensive… enter the Fitch Fuel Catalyst. The Fitch Fuel Catalyst is a bolt-on solution to improving the the fuel you run in your vehicle. It is NOT an additive: it uses a proprietary metal-alloy that the fuel runs through which improves the octane level, and thus combustability, of standard fuels. That means you can enjoy more power from your engine when you want it and reap in the fuel savings on highway cruises. And because the fuel burns more efficiently, there is a nice reduction in the amount of emissions and greenhouse gasses produced by your car, truck, or SUV. On average, the Fitch Fuel Catalyst improves fuel economy by 1-2.5 miles per gallon. That’s serious savings! In a vehicle that gets 20 miles per gallon and has a 20 gallon tank, you get an extra 20-45 miles on one tank. At $4.00/gallon, thats between $4 and $10 of fuel savings on just one tank. What’s more, cars that require premium fuels can actually run regular unleaded if they have the Fitch Fuel Catalyst installed, which translates into even more savings at the pump. So if you need to reduce your monthly fuel cost, go check out the Fitch Fuel Catalyst, it’s a great product that will save you money!